Pictured: Some of the illicit drugs confiscated by members of the Namibian Police’s Drug Law Enforcement Division when they arrested a young man in Narraville on Sunday evening. 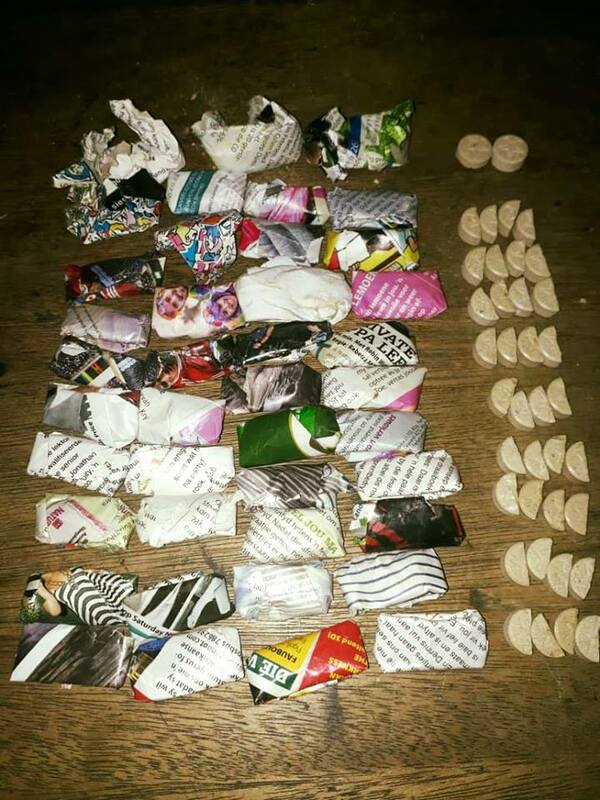 Focused police action led to the arrest of a 21-year-old resident of Narraville in Walvis Bay on charges of possession and dealing in illicit drugs on Sunday evening. 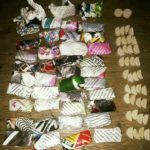 During the arrest of the young man, drug law enforcement officers found 41 packets, also known as ballies, of cannabis, two full Mandrax tablets and 36 Mandrax tablet halves in his possession. According to the Erongo Regional Crime Investigations Coordinator, Deputy Commissioner Erastus Iikuyu the arrest was made during a special operation by members of the drug law enforcement division. He said the suspect was arrested at a certain house in Plein Street at around 22:00 on Sunday. Deputy Commissioner Iikuyu said the 21-year-old suspect is expected to make his first appearance in the Walvis Bay Magistrate’s Court later on Monday. He is facing a possession charge as well as a dealing in illicit drugs charge.